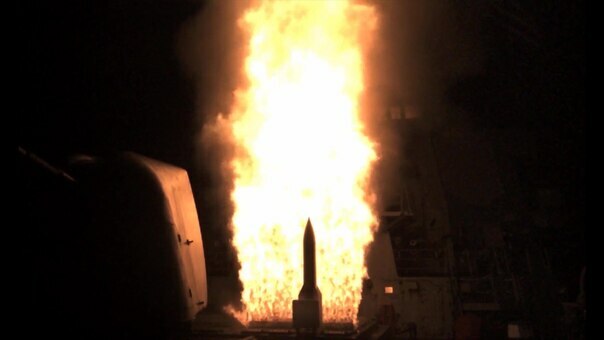 The Missile Defense Agency and sailors aboard USS John Paul Jones (DDG 53), an Aegis baseline 9.C1 equipped destroyer, successfully fired a salvo of two SM-6 Dual I missiles against a complex medium-range ballistic missile target, demonstrating the Sea Based Terminal endo-atmospheric defensive capability and meeting the test's primary objective. See www.mda.mil for more information. This work, FTM-27 Flight Test, by Leah Garton, identified by DVIDS, must comply with the restrictions shown on https://www.dvidshub.net/about/copyright.